Matrilineal Lineage in Judaism: The Powerful or Powerless Jewess? You are here: Home / Research / Matrilineal Lineage in Judaism: The Powerful or Powerless Jewess? While I was trying to prove my Jewish identity in order to be married in Israel, I came to understand that the concept of matrilineal descent that I once thought gave women power, did the exact opposite. Power is often gained through physical control, but religions use mental and spiritual control in a subtle manner that makes women powerless over their bodies and fate. In Judaism, one of the ways that women are controlled is through the concept of matrilineal lineage. To prove my Jewish identity, my parents turned to an ultra-Orthodox Rabbi. He claimed that since my mother had converted in a non-Orthodox manner (a manner he personally did not accept), that I was not Jewish. He said that the soul of a Jewish child is created in the womb of a Jewish mother. My mom, who had dedicated herself to raising Jewish daughters in a Jewish home, was profoundly hurt. Not because she believed what he said, but because this stranger metaphorically violated her body. This man imposed control over her by defining her identity through her body. While this was not a physically violent violation, it was emotionally violent. This quote, which fit perfectly with my mother’s experience, wasn’t about Judaism. It was about Islam. The quote was broadcast on NPR and said by Mona Eltahawy, a prominent Egyptian-born, U.S.-based columnist, and Egyptian activist. When writing about the Arab Spring in Egypt, Eltahawy was seized by Egyptian security forces, sexually assaulted, and had her arms broken. She then spoke about the experience on air. Realizing that a quote about Islam could so easily be juxtaposed to Judaism made me ask myself: Is Judaism as progressive as we claim it to be? Dr. Elana Maryles Sztokman, award-winning HBI author, and leading writer on issues of feminism, Judaism, Orthodoxy, and education, says the concept of controlling women’s bodies in Judaism is an ancient dynamic. Originally in the Torah, Judaism followed paternal lineage. Specific references in the Torah regarding religious paternal descent exists in Genesis, Numbers, and other locations. “By their families, by their fathers’ houses” (Numbers 1:2) has been interpreted by Rabbis as the family line of the father, not the mother, is recognized. For instance, Joseph’s children were considered Jewish, despite the fact that their mother was not a Jewish woman. The change to matrilineal lineage from paternal lineage seems to have originated in late antiquity (approximately 200 or 300 CE) and is historically attributed to Jews trying to adapt Jewish law to the Roman legal system. However, there are also instances in the Torah that do mention matrilineal lineage, such as in the Book of Ezra, in which Jews during the time of Babylonian captivity are commanded to divorce their wives. This might have been the first attempt to curb intermarriage by exerting control over women. In Judaism today, particularly the Orthodox streams, there are many customs and laws that clearly demonstrate how men control women, such as the mikveh, ritual bath. Rabbi Dr. Haviva Ner-David, who wrote her doctoral dissertation on the subject of mikveh, was one of the first women granted an Orthodox rabbinic ordination. She now considers herself a post-denominational Rabbi and runs the only pluralist mikveh in Israel. She explains how rabbis throughout the generations exerted control over women’s bodies through the mikveh. “Rabbis try to control what goes on in the mikveh, who’s allowed to immerse and when… If you go into a typical Israeli mikveh, the female mikveh attendants don’t see themselves as authorities, they don’t make decisions; they simply follow the rules the Israeli Rabbinate sets for them. The male rabbis are the ones who are actually running the mikveh. Most mikveh attendants do what they are told, and don’t want to make trouble. They worry about losing their jobs, even though they are paid so little and work under difficult conditions,” explains Ner-David. Ner-David explains how the mikveh is just one example of how men control women’s bodies and sexuality. In the past, and even in religious communities today, rabbis have used scare tactics to force women to perform other mitzvoth. The main point that Ner-David introduces through these examples is the concept of who are the decision makers and judges. When this concept of hierarchy is applied to matrilineal lineage, it demonstrates that women are not actually in control of determining a child’s Jewish identity. It is the male Rabbis at the top of the hierarchy who have the authority to determine if a child is Jewish, if a woman is Jewish, and if her womb is kosher enough to create the soul of a Jewish child. It is actually male religious leaders who are the gatekeepers – not women. A figure demonstrating that matrilineal lineage controls women more than it offers them power is the gap between the number of women who convert compared to men. According to ITIM (an Israeli non-profit organization which offers resources and advocacy for Jewish life), 78 percent of the people who convert to Judaism in Israel are women. In Israel, where the ultra-Orthodox Rabbinate has a stronghold, it is not surprising to see that more women than men convert. This stronghold directly impacts women on a legal level, such as divorce, but it also indirectly impacts women on a cultural level. The indoctrination of Israeli society by the Rabbinate combined with the organization being legitimized by the Israeli government causes the population to implicitly control women. According to the Israel Democracy Institute’s (IDI) The Findings of the Third Guttman-Avi Chai Report: A Portrait of Israeli Jews only 40 percent of Israelis consider someone Jewish if a person has a Jewish father and non-Jewish mother. This puts additional pressure on women to convert in order for their children to be fully accepted into the Jewish religion and Israeli society. In fact, matrilineal descent is so entrenched in Jewish culture that conversion among women is nearly the same percentage in a country with an ultra-Orthodox monopoly and ruling party as it is in a country with a free-market concept of Judaism, a large liberal Jewish population, and a separation of religion and state. According to the 2000-01 National Jewish Population Survey, 74 percent of people who converted to Judaism in the US were women. This statistic might suggest that the intermarriage rate for women compared to men would be much lower, but in fact the intermarriage rate is nearly equal. According to PEW’s A Portrait of Jewish Americans published in October 2013, 41 percent of married Jewish men have a non-Jewish spouse, while 47 percent of married Jewish women have a non-Jewish spouse. Despite the fact that intermarriage rates are very similar between Jewish women and men, conversion rates are much higher for women to Judaism. This suggests that the pressure on women to convert is much stronger than it is on men, but more importantly, that the overt need of religious authorities to control women has subconsciously infiltrated into the general Jewish population. Just as much as Judaism tries to control women converting to Judaism, so does it seem to control born-Jewish women by keeping them Jewish. According to PEW’s Research Faith in Flux report from April 2009 and revised in February 2011, 81.7 percent of Jewish men do not leave the religion compared to 86.4 percent of women. In other religions, where a child’s religion is determined using different methods there is not as large of difference in the percentage of women compared to men changing religion. The GESIS: International Social Survey Programme: Religion I-III – ISSP 1991-1998-2008 research, which reviewed a variety of different religions throughout the world found that 79.54 percent of males and 81.77 percent of females identify with the same religion in which they were raised. The percentage of males compared to the percentage of females who change their religion, such as Roman Catholic, Protestant, Christian Orthodox, Islam, etc, is statistically insignificant. This is not to say that other religions do not control women in different ways, but matrilineal descent is a core system for Judaism to control women. While controlling a person’s identity is much more subtle form of power than when a woman is denied a get (Jewish divorce), obligated to wear a burka, forced to undergo FGM, or deprived of reproductive health, it does still deny one of most basic and fundamental rights – the right to personhood. As important as it is to stop overt inequality, such as freedom of divorce, marriage, dress, movement, and more, it is just as important to work against the more subtle and basic types of control that are present in all forms of Judaism. When men are allowed to control women’s bodies through matrilineal descent, then the other forms of control quickly follow. Since matrilineal descent is one of the foundations of gender inequality in Judaism, stopping this type of control could lead to the collapse of the more severe and even violent forms of control. The elimination of matrilineal descent would allow Jewish women to reclaim their bodies as their own versus functioning as reproductive vessels for the religion. This would mean that strict religious leaders would not be as invested in controlling women’s bodies in other forms – modesty, mikveh, marriage, and more. In the end, I was not married by the Israeli Rabbinate and in fact, I was not married at all. I refused to go through a conversion and allow an archaic, patriarchal system define my Judaism, identity, or body. Instead the entire experience caused me to leave Israel and focus on raising awareness to religious coercion in Israel. After a few years, I moved back to Israel and have recently published Chutzpah & High Heels: The Search for Love and Identity in The Holy Land, which details my experience as a new immigrant and specifically dives into how the lack of religious pluralism in Israel impacted my life. 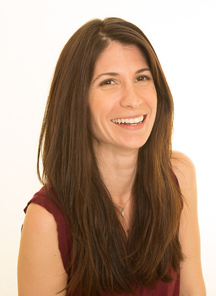 Jessica Fishman moved to Israel from the U.S. in 2003, served in the IDF Spokesperson Unit, and writes the Aliyah Survival Blog, an irreverent portrayal of life as an immigrant in Israel. Her new book, Chutzpah and High Heels: The Search for Love and Identity in the Holy Land, will be published soon. The HBI accepts outside submissions to Fresh Ideas. For more information, contact Amy Powell, editor. Kol Ha Kavod. I loved this article and hope to be able to read your book one day. I have often noticed that ultra-Orthodox Judaism and ultra-orthodox Islam have a lot of similarity. And probably ultra-conservative Christian doctrines would be similar. All strive to control women’s bodies. Can you source the mishnah you quoted? This article is absolutely stellar! Kol HaKavod, Jessica Fishman. I look forward to reading your forthcoming book. I think the author should go back and learn some basic Torah before spouting her nonsense.